Shopping for loved ones can be quite a challenge. It’s hard to balance being thoughtful and practical, and gift ideas are not always obvious. What do actors even need anyways? Actor shoes? 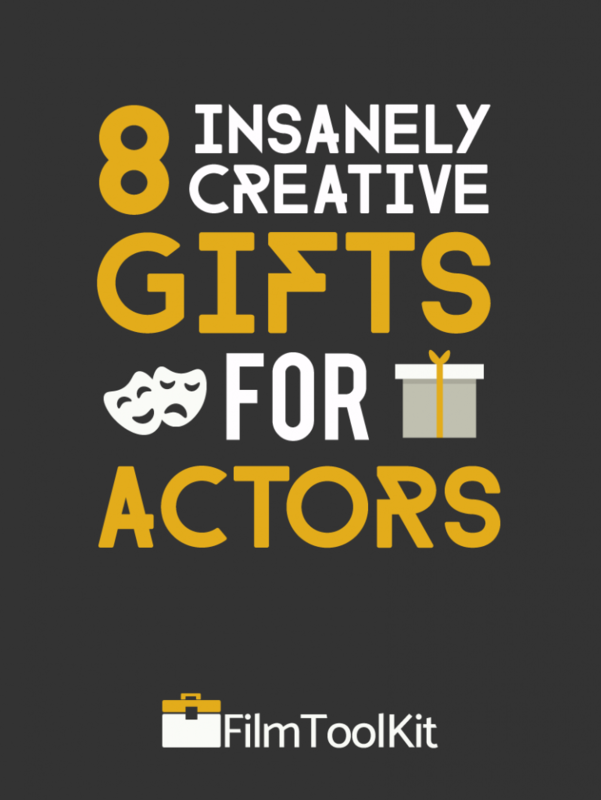 Well, FilmToolKit has done a whole bunch of research to figure out 8 super creative gifts for actors so that you don’t have to. There’s a wide variety of gifts here, and you’ll be able to find something useful for absolutely any actor. There’s even a little bonus section at the end for those of you looking for gifts for voice actors! 1.8 8. Food. Or If You Care Less About Formalities, MONEY. Actors. Like. Movies. Is it that surprising? Sure, this idea is a tad bit less extravagant than many of the others, but it is a good way to show that you’re at least somewhat thoughtful. Actors are pretty much guaranteed to be taking a trip to the movies a couple times a month, so this gift is sure to be well received. We think this is one of our more creative ideas. You probably haven’t considered this, but as an actor you find yourself dealing with a lot of paper. Resumes, scripts, NDAs, contracts – there are tons of documents that will need to be printed over the course of an acting career, and it gets old running down to the library to print them. The average lifespan of a printer is 1-2 years. They have a ton of moving parts, and typically they are built pretty cheap – the real profit is the ink. They are constantly breaking, and the general consensus on the internet is to purchase a reasonably priced one, so it’s not too expensive to replace when it breaks. We managed to find a pretty high quality one that has a solid customer satisfaction rate at less than $70. The HP OfficeJet 4650 All in One. Besides the strong reviews, the reason we recommended this printer was the ability to print photos. Actors need to distribute headshots and other photos of themselves on a regular basis, so the ability to print them yourself is very important. There’s no guarantee your printer will last longer than a few years unless you’re spending over $600, but the reviews suggest this one has an above average lifespan and delivers high quality prints. If you don’t want to splurge for a brand new printer, or if you know what printer they have, you can consider getting them some ink. I’ve never been unhappy to get free ink. There is a massive amount of overlap between actors and filmmakers. With how much film equipment there is out there, it’s a lot easier to come up with ideas. Plus, FilmToolKit has put together some of the highest-quality film equipment buyer’s guides the internet has ever seen. Here’s a couple highlights from our massive review archive that make great affordable gifts. If you’re an aspiring filmmaker with nothing, a tripod is probably the single most useful pieces of equipment you could possibly purchase. If they don’t have one (or have a poor quality one), this gift will take their film productions to the next level, allowing them to better showcase their acting talents. The tripod that we determined was our favorite is the Manfrotto MVH500AH Fluid Video tripod. It’s about the best consumer grade tripod on the market, with an excellent height range, and an awesome fluid motion head. You can read the full review for the Manfrotto MVH500AH in our Top 5 Tripods Buyer’s Guide, where we’ve found the best tripod at the $200, $150, $100, and $50 price points as well. In addition to the tripod, huge leaps in video and photo quality can be made with the addition of proper lighting. A Softbox lighting kit is an incredibly versatile device for home studio lighting in film and photos. You can read more about them here and here. In our buyer’s guide, our favorite softbox lighting kit was the Fovitec StudioPRO Softbox Lighting Kit. It features 3 high quality softboxes, two of which have 5 bulb sockets, allowing them to be extra bright. This will allow any filmmaker to achieve great three point lighting set ups, and create a fully functioning home photography/video studio. You can read the full review for the Fovitec StudioPRO Softbox Lighting Kit in our Top 5 Softbox Lights Buyer’s Guide, where there are also several other softboxes at varying price points. Most of the production assistants I know are actually aspiring actors. You may not have realized, but to work as a production assistant efficiently, you need a lot of equipment. We wrote an incredibly detailed guide to every piece of equipment you’ll want to own as a production assistant. Walkie Headsets, Waterproof Jackets, and battery banks are just a few of our favorite suggestions. 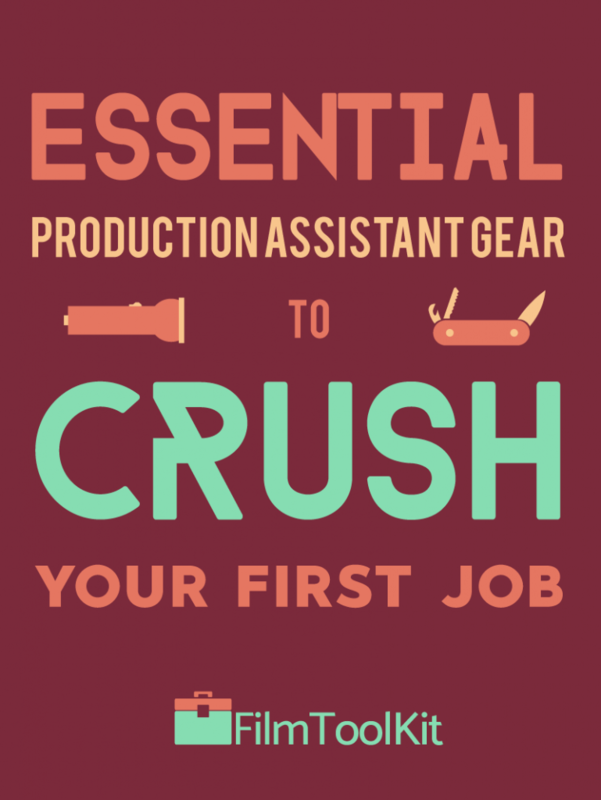 Most people have no idea what the production assistant job entails, so buying anything from this list will make you look like a thoughtful genius. Check out the full article to see all of our P.A. 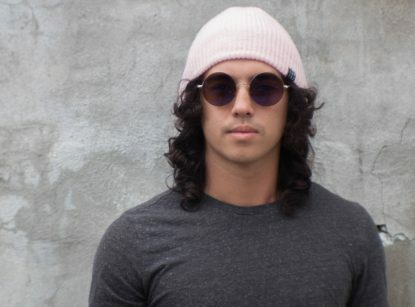 gear recommendations. To an even further degree than they are production assistants, actors are very commonly also filmmakers. 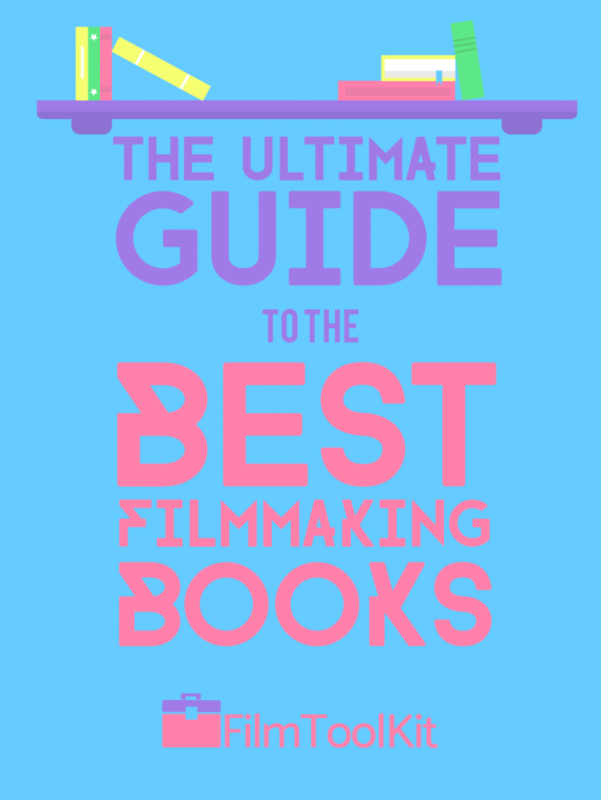 We’ve put together the most complete list on essential filmmaking books of all time. We reviewed the top 3 books in every department from cinematography and film editing, to screenwriting and directing. No matter what their interest is, there is sure to be a great read in here for all anyone slightly interested in film. Note: As an actor, we think the most valuable books are those which cover directing. There is a surprising amount of overlap between actors and directors, and learning about one will improve the other. As if being an actor wasn’t enough of a money vacuum, actors who want the best chance at landing roles also need to shell out several monthly subscriptions to premium casting websites. Ranging between $5-20 dollars a month, these can be very affordable, and offer you a lot of versatility, as you can purchase anywhere from a month to a whole year for your gift recipient! Websites like LA Casting, CastingFrontier and IMDB Pro are all premium services that many actors use to find jobs. You can do some probing to figure out which services your friend is a part of, and purchase them a subscription at a site they have not seen before. These subscriptions are practically guaranteed to help the advancement of their career, so you’ll be met with lots of gratitude and look really creative as well. Trying to make it as an actor is all about doing whatever you can to sustain yourself between roles and auditions. Transportation costs can seriously eat into your budget, and leave you choosing between the Uber ride to your audition, or paying rent. So consider offering to help out with transportation! Sure, it’s not as flashy as a PS4 or some fancy jewelry, but it’s a very practical gift that is guaranteed to be appreciated. You can steal their car and fill up their tank, buy them a bus pass, offer to take their car in for a tune-up, or buy them an uber gift card! Practically everyone uses Uber these days, especially in places where the film industry is booming like Los Angeles. This is a gift that definitely won’t end up going to waste. If the actor in your life is taking acting seriously, there’s a good chance they have undergone formal training and read plenty of books. There is a much smaller chance, however, that they have taken the same approach to vocal training! Being able to speak with different dialects and accents will greatly expand the range of any actor, and improve their vocal versatility. They may be holding themselves back from several roles because they don’t think they are capable, but have yet to learn that anything is teachable! You may shop around your local scene to see if there are any worthwhile classes that teach vocal and/or dialect training, and then offer to pay for their classes! Have a backup plan if they aren’t interested, but this gift is a great way to go above and beyond. If classes aren’t available, or aren’t in their interest, a book on dialects or vocal training is a great substitute! This book is one we’ve seen recommended on other websites, and the reviews have confirmed that it’s the best resource for dialect and accent training. Here’s an awesome gift that nobody else is going to think of, but all actors want! Headshots are quite expensive, and most actors will hold off on updating theirs to spend their money on bigger issues. By offering to fund your friend’s next round of headshots, you are giving them something they most certainly wanted at some point, and demonstrating how thoughtful you are. Plus, if you’re a high quality photographer with a nice studio, you can even offer to take a round of their headshots for free yourself! 8. Food. Or If You Care Less About Formalities, MONEY. When doing research to craft this article, it seems as if there was a common recommendation across all sources – food. Everyone needs to eat, and like we said earlier, actor’s are usually living on a shoestring budget and making big sacrifices to pursue their career. A big bag of high quality groceries or a gift card to a fancy restaurant can end up being the best gift they’ve gotten. Last but not least, in the same vein, money is one of the greatest gifts you can receive as a starving artist. We believe the idea that money is an offensive gift is an old fashioned-myth. Sure, it’s a less memorable present, but it wins in practicality. You can allow them to choose to put the funds towards whatever they need the most. When you’re struggling for cash, there’s nothing worse than receiving a 200$ printer when you don’t even have the cash to keep your lights on. I’ve been disappointed by a lot of different gifts, but I have never been disappointed with money. If you’re that worried about it looking un-thoughtful, include a card that describes your intent! You’ll immediately look super thoughtful. If you’re shopping for a voice actor rather than a traditional one, here are a few quick recommendations. Do some sly-super-stealth research to find out which of these they have, and which they don’t, so you can make sure you’re not buying something they don’t need. If your recipient doesn’t have this yet, this is a huge opportunity for you to make a major adjustment in the quality of their recordings. Acoustic foam is an excellent tool to improve the acoustic dynamics of any room. It can even be applied around the entirety of small rooms or closets to turn them into functioning recording studios! They won’t completely soundproof your room, but they will drastically reduce room echo, and have a substantial effect on recording quality. This makes a great gift, because the benefit/cost ratio is very high. 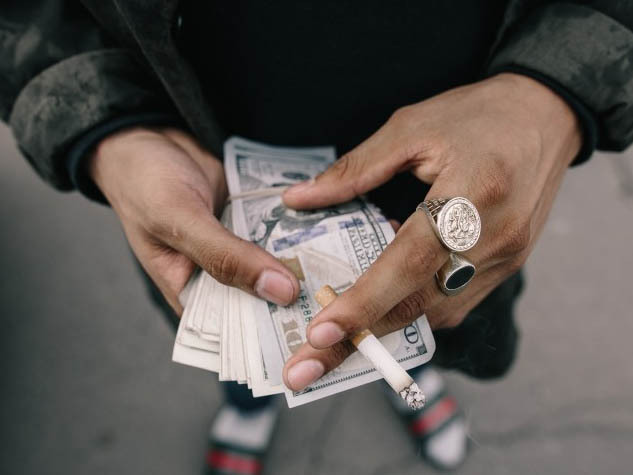 The recipient of your gift will see a large increase in the qualities of his vocals, and at less than $20 a pack, you won’t have to spend much at all. If you’re lucky enough to live with the person, you can even sneak into their recording room at apply it to all the walls for them! Just make sure to buy the proper adhesive with it. Note: The link we have provided is to a 12 pack of the foam squares. We suggest purchasing 4 or 5 of these to provide decent coverage for the recording space. They’re pretty cheap, and one pack won’t be enough to have much of an impact. If they already have acoustic foam, or you’re just looking for a gift that requires a little less legwork, a microphone shield is an excellent addition to any recording studio. It achieves a similar effect as the previous recommendation, isolating your vocals – and it doesn’t require you to cover an entire room with acoustic paneling! This is a great substitute, but if you combine the two, you’ll barely be able to tell the difference between your room and a proper studio. If you’ve got deep pockets, and you have a friend who’s trying to make it as a voice actor with their smartphone microphone, this is the best possible gift you could get them. We’ve assembled a comprehensive list on the top 5 best desktop microphones, and our favorite pick was the Audio-Technica AT2020USB+ USB Microphone. You can read our full review in the original article, but in essence, it’s the best microphone you’re going to get without spending over $300. It requires no external mixers or preamps, and has the strongest, cleanest audio signal out of all the desktop microphones we reviewed. Here’s an audio sample!